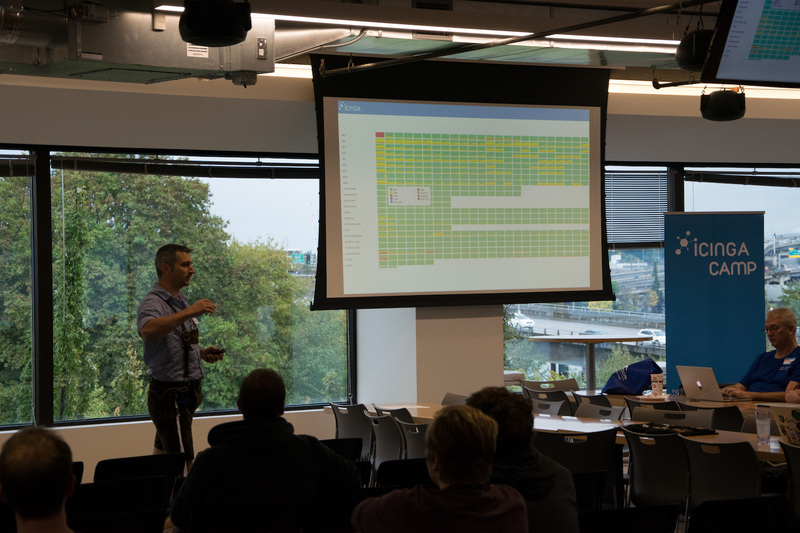 Icinga Camp Portland was our second trip to the US after San Francisco last year, and we really enjoyed connecting with community members and future Icinga users at Puppetconf, and of course, our very own camp hosted at Puppet Labs HQ. 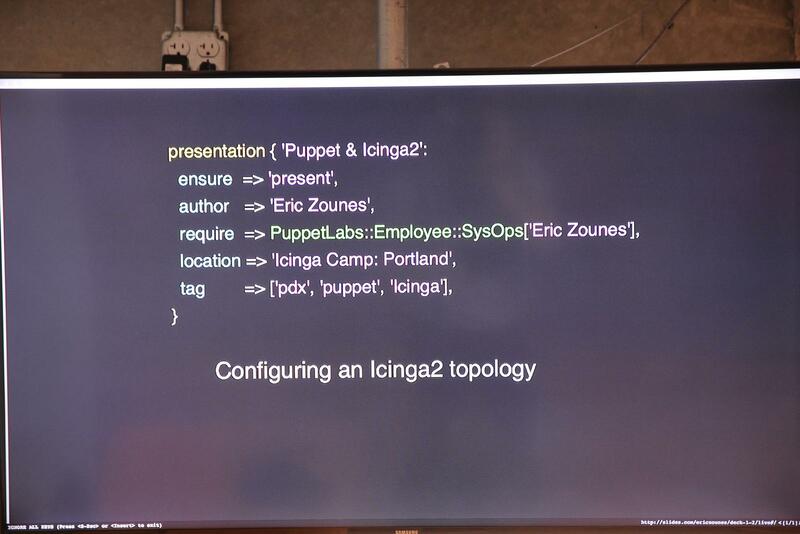 The Icinga 2 API release is near – at Icinga Camp Portland we did have the latest and greatest snapshot with us. We’ve also had a demo using AWS EC2 instances for creating, modifying and deleting host objects at runtime. 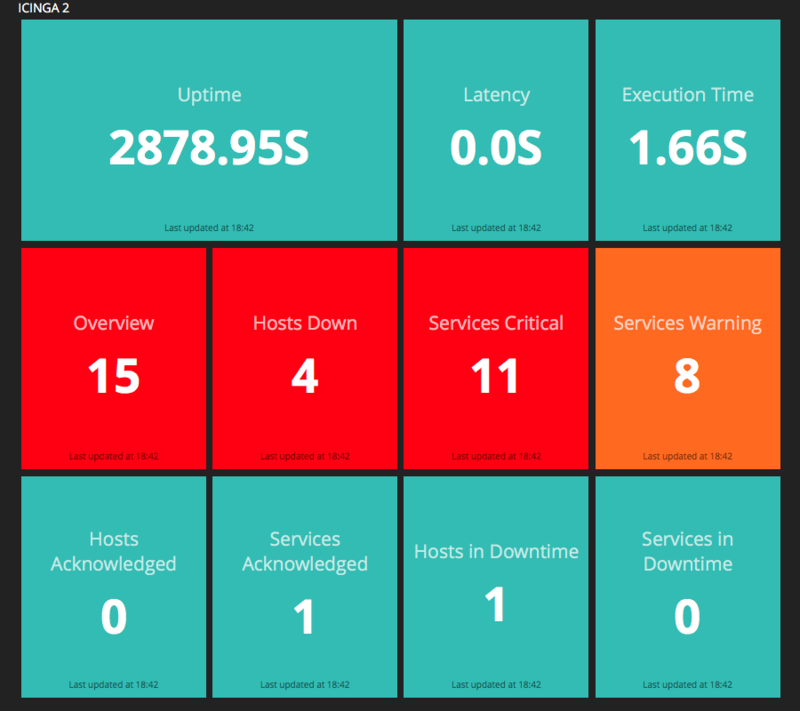 Going further, using the icinga studio application to view the current states using the REST API. 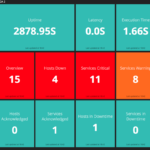 And last but not least using the Icinga 2 REST API for nice Dashing dashboards. Best part of open source: Everything can be found on Github. Play with it and give us feedback! 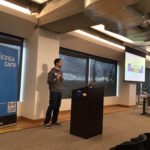 Talking Chatops and whatnot by James Fryman from StackStorm was the icing on the cake giving a vision how Icinga 2 API actions and event streams will integrate with better alerting. We’re working closely with James to finish the StackStorm Icinga 2 integration these days. 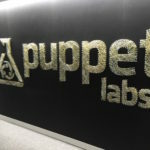 Many thanks to our Icinga Camp sponsors Puppet Labs, Shadow-Soft, NETWAYS, StackStorm, Pagerduty, VictorOps and AlertOps! The event archive is now live – make sure to checkout the presentation slides and pictures. 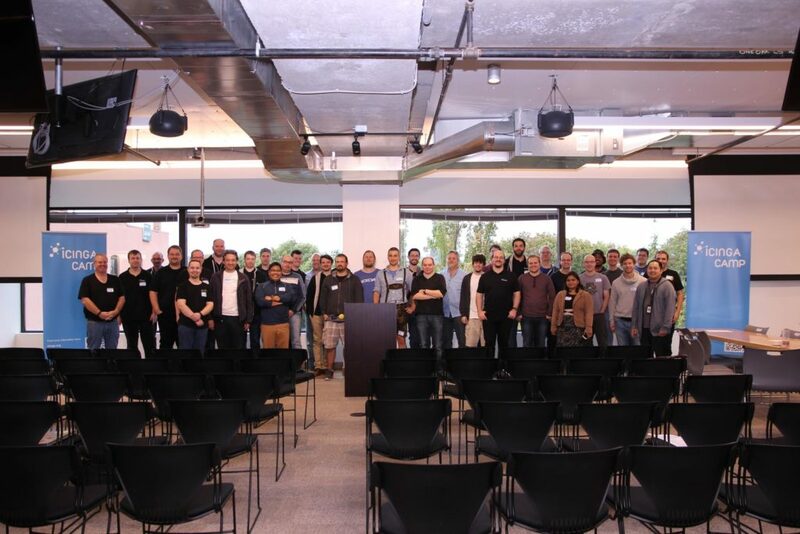 We certainly had lots of fun – make sure to join us at future Icinga Camps, perhaps Berlin 2016. 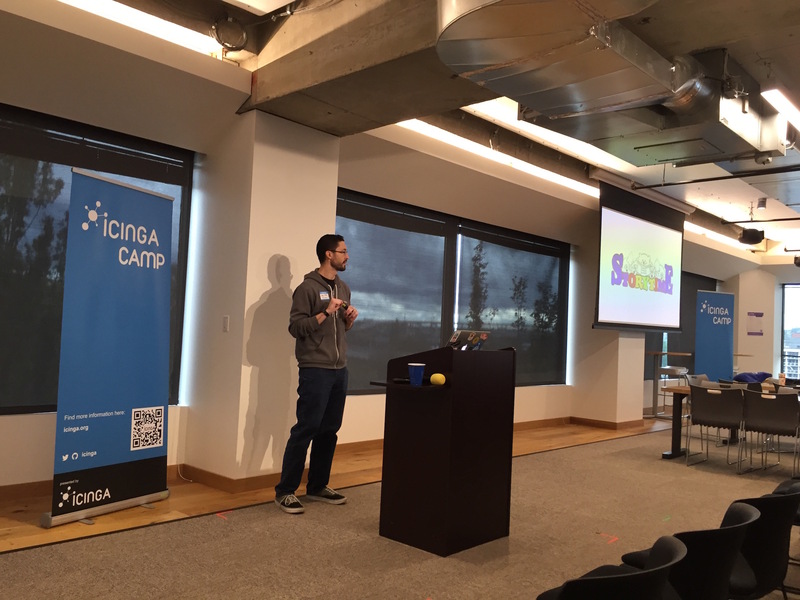 October is close and Icinga Camp Portland is only a couple of days away. If you haven’t already signed up for our Camp you should do so in the next days. We just have a couple of tickets left and would be happy if you join us at the 10th of October. Our timetable for a full day of monitoring love is also finished and we’ll make sure that we all have a great day. 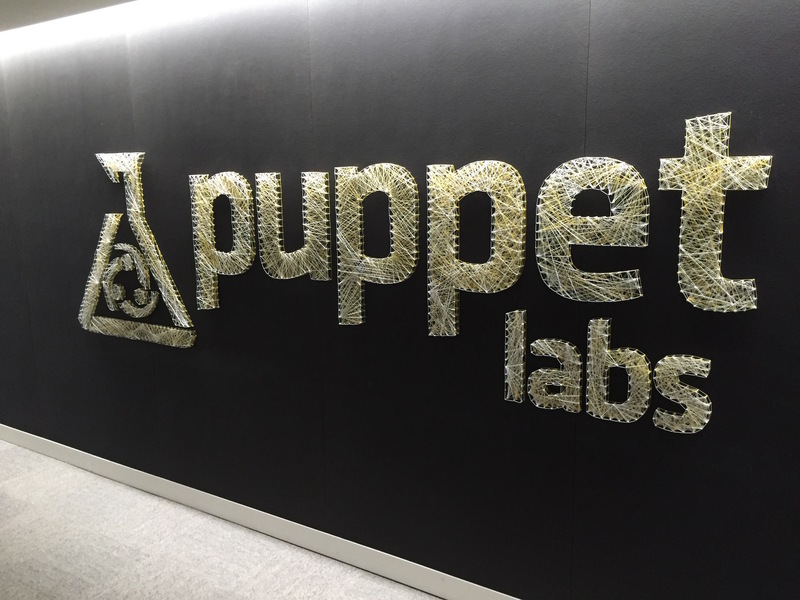 Again thanks to PuppetLabs for having us at their office and special thanks to our sponsors. Register now and have safe travels to Portland! October is coming closer and we are looking forward to see you all in Portland in a couple of days. Team Icinga joins PuppetConf as a sponsor for the first time this year. Please visit us at our booth and we’ll show you the brand new upcoming version of Icinga Web 2. In addition to that you’ll have the chance to ask all the question you have in mind. And we hopefully have an answer (42) for that. We’ll be in Portland for a whole week and cause it is so beautiful over there we stay a day longer for, you already guess it, Icinga Camp. 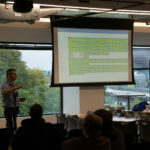 Since a couple of days our final timetable is online and with talks of James Fryman, Eric Zounes and of course some members of the Icinga team we’ll have a great day of monitoring at the PuppetLabs HQ in Portland. Don’t miss the chance to register for Icinga Camp now and we make sure to have a shirt in YOUR size. If you also want to register for PuppetConf, and we think this is great idea, please use the code SPONSOR_PROMO15 to receive 15% discount.